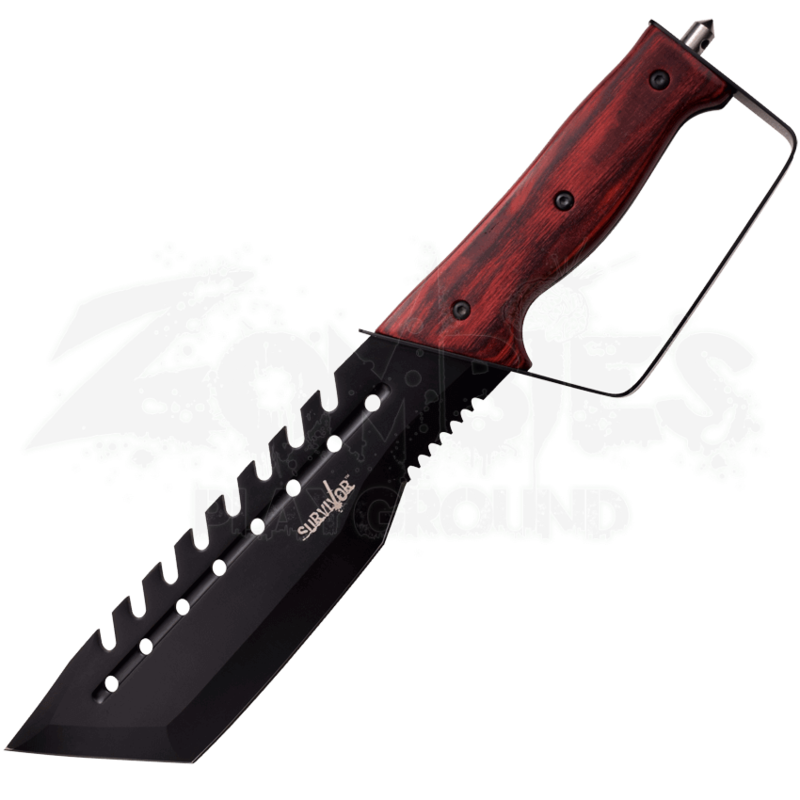 When you want a blade with multiple potential uses, be sure the check out the Wooden Sawback Survival Tanto Knife. The tanto shape gives the blade a great piercing point, while the teeth on the back enable the survival knife to saw. A glass breaker on the end on the handle provides additional functionality, making this a useful tool to keep handy for outdoor tasks and camping. The tanto blade is made from thick stainless steel with a black finish that looks striking with the natural pakkawood handle. 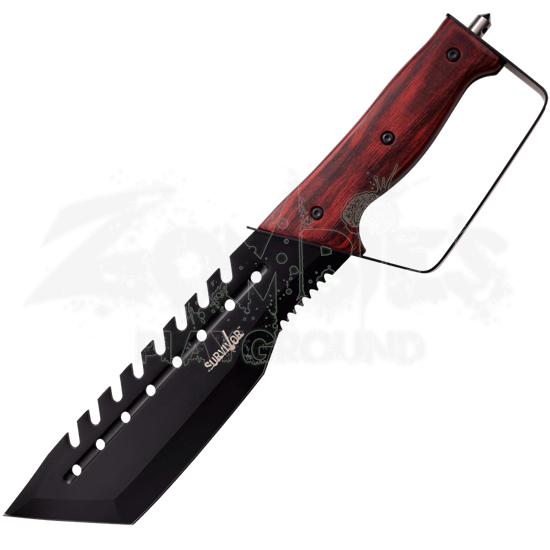 A metal D-guard offers protection to your hand while using this sawback knife. The stainless steel knife comes with a black nylon sheath to make it simple to safely carry or store.